In the U.S., 20% of Americans live in a state where pot is legalized for adults; however, it is still outlawed by the federal government as a Schedule I narcotic. In Canada, the legalized commercial medical cannabis program is burgeoning, as even the biggest pharmacy chain in Canada takes steps to sell over-the-counter medical marijuana. As Canada works to introduce legislation to legalize recreational marijuana this year, the industry is looking to gain even more steam, and the online realm expands that opportunity even further. Selling cannabis products through an e-commerce shop expands the potential customer base exponentially. That said, online merchants are also subject to the harsh realities and regulations of the industries in which they operate. Since sale of these types of products to minors is strictly outlawed, and because of the licensing requirements to purchase medical cannabis, online merchants selling medical marijuana-related products need to ensure they comply with all federal laws pertaining to retail sales as well as the laws of the state or province in which they operate – and the states/provinces to which they ship/deliver. Online merchants who sell medical cannabis related products should always consult with an attorney to ensure they are operating within the guidelines of all laws and regulations. There are special requirements for merchants selling medical cannabis-related products, as outlined by the which oversees these types of merchants. Beyond that, there are endless opportunities for these types of merchants to expand their reach and sales online if they find the right payment processor. The first thing a Canadian medical cannabis merchant needs in order to process e-commerce payments is an established website. That means the website should have the ability to display products and be tied to an inventory tracking system. In the case of regulated industries, these sites should also include disclaimers and warnings about age restrictions and have verification systems in place to confirm the ages of shoppers. In this regard, e-commerce enables sophisticated technology that is potentially better at screening the identities and ages of visitors than the protocol of a brick-and-mortar location. Just as with any other e-commerce website, it also needs to have a shopping cart integrated that allows people to add to and subtract items from their cart as they browse products. Once a merchant has its medical cannabis website set up and running, a payment gateway needs to be in place to accept payment from customers. A payment gateway is a portal through which the payment processor can connect to the customer’s bank to initiate and authorize credit or debit card payments. There are several considerations to take into account when choosing a payment gateway and the ability to process payments online is contingent upon the merchant’s ability to obtain a merchant account through an acquiring bank or payment processor. Since medical cannabis-related businesses are all deemed “high-risk” businesses, these types of merchants need to find a payment processor that specializes in high risk merchant accounts. While it can be difficult to find a payment processor that will work with a high risk merchant, it is not impossible. Many merchant service providers offer high risk merchant accounts as well as consulting to help merchants set-up their payment gateway, ensure that the right fraud and chargeback tools are in place and maintain a stable payment processing operation. Selling medical cannabis products online requires the ability to adapt to unique nuances of these industries and to remain protected from some of the challenges that arise from selling these types of products online. In some cases, these merchants need to work with a merchant account provider that offers offshore merchant accounts, load balancing and additional e-commerce solutions to streamline the payments operation and optimize transactions. Since chargebacks can be a particular nuisance for regulated industries, merchants should make sure their merchant account provider offers tools and solutions to help mitigate and minimize chargebacks. Receiving too many chargebacks leads to fines and penalties from the card brands as well as potential account termination. It’s important for merchants to work with a merchant account provider that not only facilitates online credit card payments, but one that can help guard against chargebacks and act in an advisory capacity if chargeback become a problem. 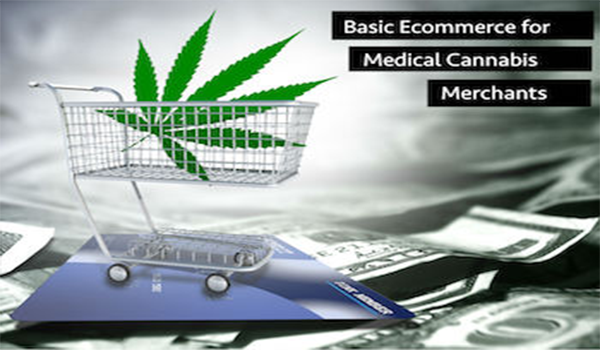 Merchants in the medical cannabis product category should be thinking about how e-commerce can positively impact sales. The key to getting started is finding the right payment processor that specializes in high risk merchant accounts. Working with a processor who has experience in the medical cannabis space specifically can also add value as these processors may also be able to advise on a number of secondary considerations like fraud and chargeback prevention.